The “Generous” House Plan is exactly that! 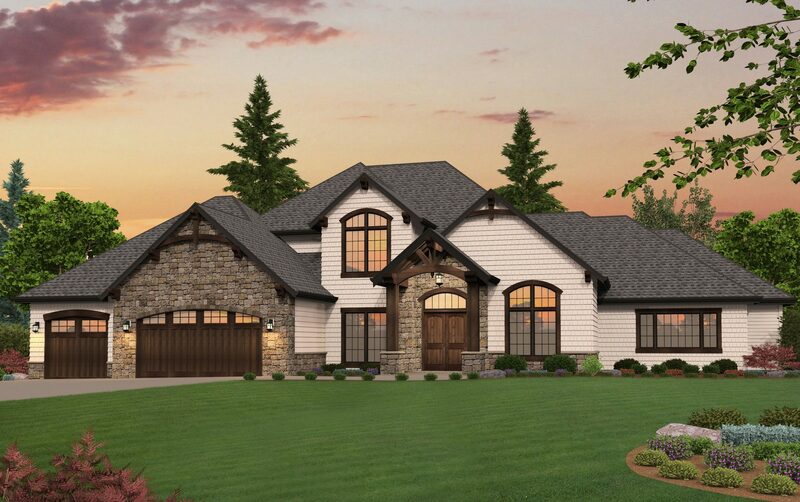 Designed for an Estate Style Lot this Immaculate Lodge Style House Plan is Generous in every way. 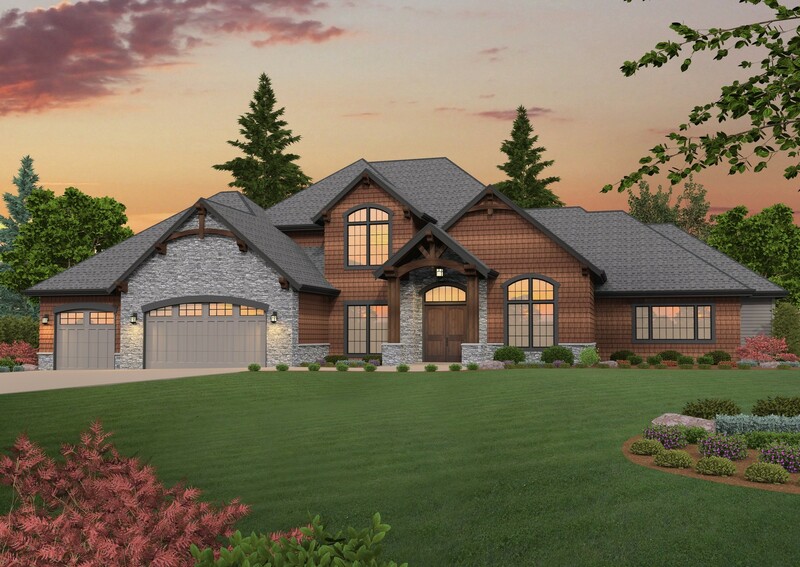 An absolutely beautiful exterior in the Lodge/Shingle Style greets you as you approach. The Vaulted and open beamed Foyer leads to a dramatic great room with Arched Windowed rear wall. A fireplace and media wall are also in the room. Sharing the open family space is a gourmet island kitchen perfect for entertaining and cooking at the same time. The adjacent breakfast nook leads out of a Catalina Door to the Generous Outdoor Living space complete with Kitchen and Fireplace with a vaulted 12 foot tall cover. There is a butlers pantry leading to the formal dining room. A flexible Exercise-Main Floor Guest Suite is joined by a third bedroom that shares the Jack and Jill bathroom. The main floor office is right off the entry with double doors to the Great Room Hallway area. 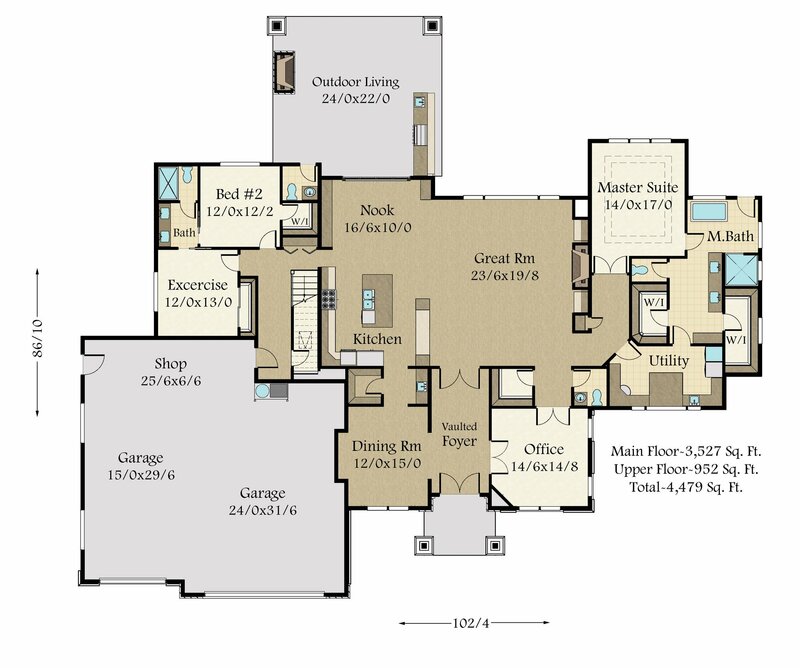 A Master Suite with everything is at the rear corner of the plan and comes with his and hers walk-in closets, and access to the She Cave style utility room, with a center island, craft and desk area. 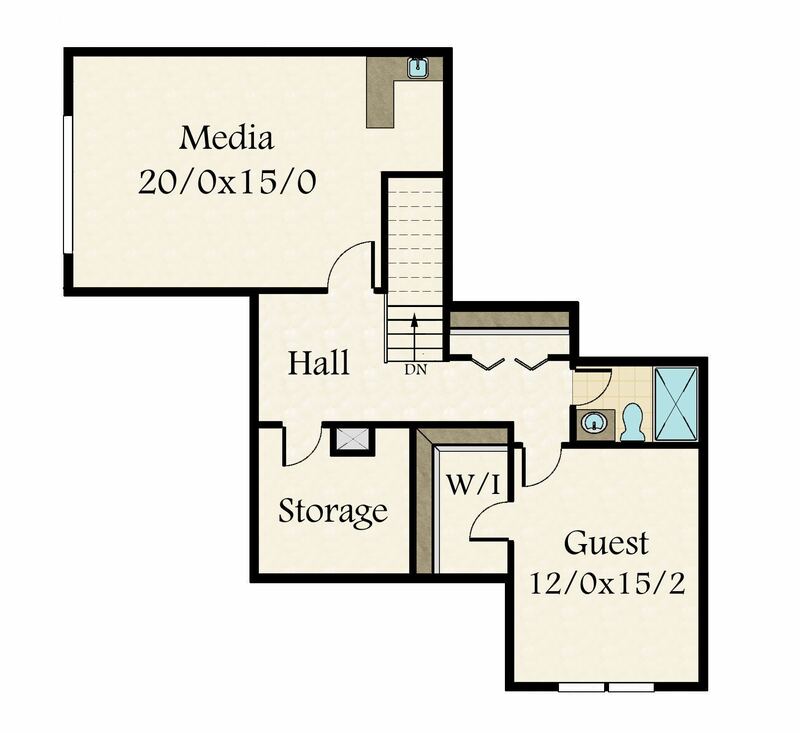 Upstairs you find a vaulted Media room with web bar and snack area, Large Storage space and a second Guest Suite. 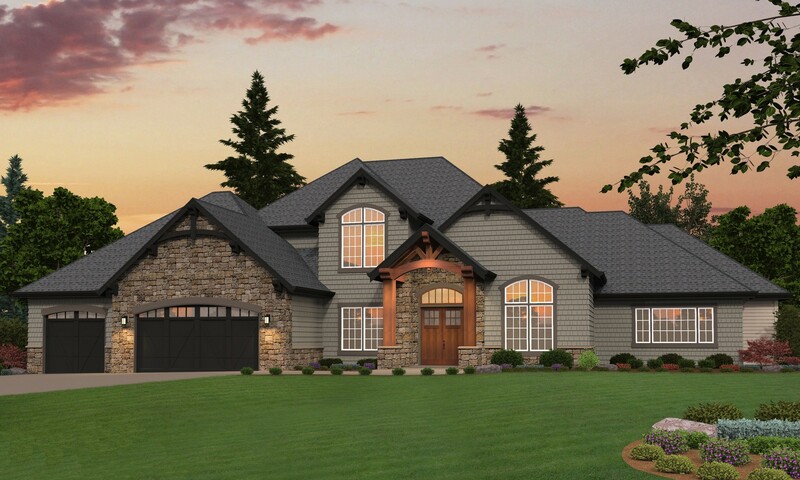 This house plan works very well for a multi-generational family as well as an active family with older children.